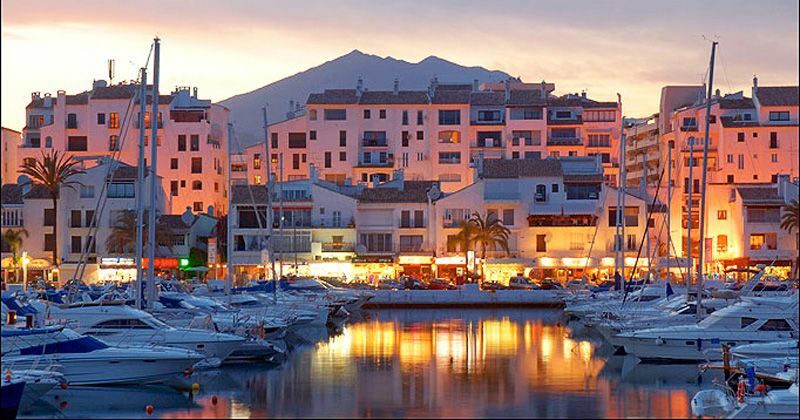 Marbella is known all around the world as Spain’s most luxurious and glamorous destination. Located just 45 minutes from the Malaga International Airport, Makes Marbella easily accessible for the holidaymakers and owners who visit each year. Marbella is home to a wide range of International residents and wealthy expatriates from all over the world, who find the area a true gem of the Mediterranean. 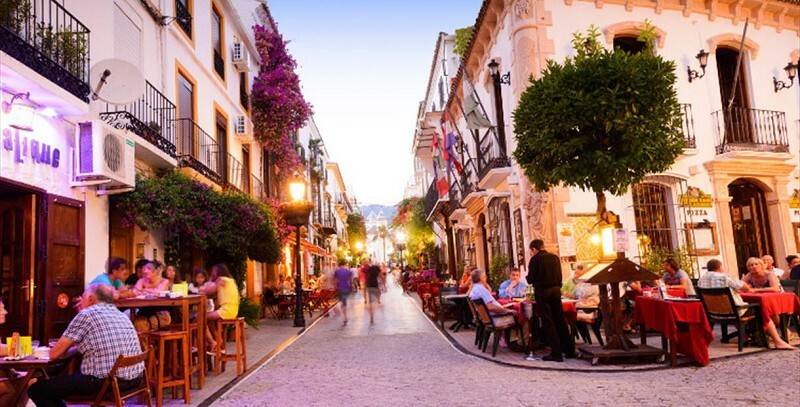 Many visitors to Marbella flock to the old town, With its beautiful historic buildings, the maze of tiny streets, and plazas. A favorite for many in Marbella old town is the ‘Orange Square’ (La Plaza de Los Naranjos), aptly named after the orange trees that grow there. The old town has an amazing array of restaurants, bars, and boutique shops, which are all set in the historic buildings with their vibrant colors and plants, there is something to see at every turn. Down on the seafront in Marbella the white marble pathway which takes you round two kilometers of the coastline allows you to explore and enjoying the views and the fresh Mediterranean sea air. There are plenty of great restaurants, and bars to stop and have a coffee whilst looking out to sea, and watching the world go by. You can also access the two main ports, here in Marbella, one in the middle of the town dedicated to fishing and sporting activities (Puerto Deportivo) and another, the world-famous one Puerto Banús, named after José Banús which is home to the famous Sinatra bar, Designer shops and spectacular superyachts, As well as some of the most luxurious cars in the world from Ferrari to Lamborghini, the port is a must see !. Marbella is home to some of the most stunning homes in Spain and the area is a favorite for worldwide celebrities when choosing a holiday home in the sun. Away from the luxurious multi-million pound villas for sale in marbella, there are many options available to people with all budgets. After the property crash many of Spain’s banks were left with lots of properties from clients who left Spain or did not complete on the sale, These properties often represent fantastic value for money, There are still lot of Bank repossession apartments for sale in Marbella, along with town houses, and even bank repossession villas for sale in Marbella. One thing is clear to see as you explore the area, The appetite for property here is still very strong with many cranes building ultra modern new apartments for sale in Marbella and a range of Modern New villas for sale in Marbella. Spain’s leading developers are all here and fighting for the best plots available to give people looking for property for sale in Marbella the best views, location and amenities. From indoor and outdoor pools, concierge services, and more, there really are some spectacular properties for sale in Marbella. There is also the thriving resale market in Marbella to choose from, with many established properties in great locations, which are generally sold as seen, allowing your money to go further. To explore a range of properties for sale in Marbella visit our website or feel free to contact us with your requirements.